Last year I started a relationship with Rudy Project. They make awesome sunglasses and helmets for cyclists, triathletes, runners, cross country skiers, and other athletes. Working with Rudy Project is a great fit for me, since I’ve been using Rudy Project helmets since 2007 and the Sterling has been my all-time favorite helmet for racing and training. This year, I’m happy to partner more closely with this awesome brand. I love the Rudy Project Sterling helmet. I tried the Windmax helmet this year and might like that one even more. HOWEVER, Rudy has really knocked it out of the park with this new helmet. At first glance, it looks very similar to those other two, but it’s definitely not. It has an beautifully sleek profile. It’s incredibly light. It has has a whole new retention system (and as you can see in the photo) an incredibly sleek strap system. It fits like a glove, looks great, has plenty of ventilation, and basically disappears on your head. Q: What more could you want??? A: Incredible new eyewear dock. Well, it has that too! (See pic below) The design on the dock is impressive. The glasses just turn into part of the helmet. Internal rubber guides keep the glasses from touching your head and still allow ventilation. The fit is snug enough that there is NO WAY those glasses are coming out in a mountain bike race. So, after all of my ranting… if you want a chance to score a free Racemaster helmet of your own (and a pair of Fotonyk Glasses!) then just enter the contest…. To enter: follow the link HERE and enter your email address. That simple! The deadline for contest entry is midnight Feb 28th. There are also 10 second place prizes of Rudy Project trucker hats! GOOD LUCK!!! I’m proud to announce that I’ve again signed with First Endurance Supplements & Sports Nutrition Products for 2016! First Endurance’s line of products has helped to take my racing and training to another level in 2015. In addition to again using the (Electrolyte Fuel System) EFS and Ultragen products, I’m looking forward to using additional PRO line products in 2016 to take my training and racing to the next level. Please click on any of the images below to learn more! The EFS line of products previously freed me from the need to use awkward salt tablets. In 2015, I’ve used the EFS Pro product during heavy training and racing with success. It is mild in taste, and also mixes well in a bottle with EFS liquid shot to free me from carrying a flask on the mountain bike. In a nutshell: It just plain works so I can focus on the task at hand. The liquid (vs. gel) consistency of the EFS Liquid Shot makes it very easy to consume quickly, even during races at a very high/intense effort levels. It also conveniently mixes well with EFS Pro! Ultragen Recovery Drink helps me to bounce back quickly from heavy and intense training load. In addition, I actually love the taste! I’m very excited to be using the First Endurance MultiV-PRO Endurance Vitamin. This product is a comprehensive multivitamin that’s designed to meet the unique requirements of professional endurance athletes. I’m grateful for the opportunity to build on my relationship First Endurance in 2016. They are a company that makes the highest quality products. Their commitment to research and product safety and quality is something I’m proud to represent as a professional athlete. First Endurance products allow me to simplify my race day nutrition. They also allow me to train better. I, in turn and grateful that they believe in me and support my career! That’s a partnership built for success! I was going to write a “season summary” blog post, but I decided to let R. Buckminster Fuller explain how it went, and how I plan to pull it together for Worlds. I’m a scientist. But I’m also an artist. I like physics. But I like to make pottery. I like to work scientific with instruments. But I also I like to play musical instruments. So I have a healthy inner conflict about data. And what makes me an artist, surfer, musician, should naturally makes me ambivalent about data. In fact, I don’t like “paralysis by analysis”. There are just so many things in life that can’t be boiled down to numbers. Regardless, I generally like data. I was trained as an Analytical Chemist. So I’ve generated mountains of data in the lab. I’ve used it to help make millions of dollars worth of decisions. Data helps me come to conclusions and make important decisions. Luckily, instead of generating “mountains of data” I now I generate “data on mountains”! I’ll get to the data later, but this brings me to this month’s XTERRA Mountain Championships at Beaver Creek, Colorado. Basically, I had a bad race. I’ve bitched and moaned before about my woes of racing at higher altitudes. But last year, I had an “outlier” performance (to use a light data term.) In an attempt to gain some more points in the US Points Series, I trained right through the Mountain Championships and ended up walking away with my best placement of the year. In fact, it was my first pro paycheck! So, understandably, despite knowing that I don’t perform at my best at higher altitudes, I was OK with going back. This year though, I had two 3rd place finishes and a 4th coming into Colorado. The US Points Series only takes your best 3 of 4 Regional Championship races (West, SE, East, Mountain) and the US Championship. So from a purely points-series standpoint, I didn’t even have to race. But, as a Professional, the real goal is to make money. And I feel like I belong racing the guys at the front. So I decided to race. It wasn’t even a question. However, the lead-up to this race was not ideal. We had record temperatures in Boise (109F, 43C), so I took an impromptu trip to San Diego to escape. If you know me, I don’t travel all that well and my fitness is highly dependent on my ability to put in uninterrupted training. Also, I committed to trying to do 2 weeks at higher altitude ahead of the race, which took me up to Sun Valley at 6,000′, back to Boise at 2,700′ and out to Colorado. When I got to Colorado, turns out I lost my housing. So I had to scramble to find places to sleep. First air bnb, then at a friend’s new home at almost 9,000′ above sea level (OUCH) and then at a homestay. I developed bad altitude sickness while at 9,000′ and really never recovered until a few days after arriving home in Boise. All in all, I took an expensive, lonely, and frustrating sight-seeing trip to Colorado and felt sick the whole time. I did get to connect with some great people. But I owe pretty much everyone an apology because I was feeling miserable. My body was all kinds of confused, screwed up or feeling sick for about three weeks straight. In the last two days before the race though, I was finally settled in at a homestay around 6,000′ elevation. My body started to feel a bit better and even perform better. So despite still feeling a bit sick, I was now optimistic. On race morning, my legs felt good on my warmups. I felt I had weathered the storm so-to-speak and was thinking I was ready mentally to “giv’er” and have a ripper of a race. The swim at the XTERRA Mountain Championships was reversed this year, swimming counter-clockwise around Nottingham Lake at over 7,000′ elevation. The start was cramped and I was relegated to the 2nd line. …not where I wanted to be. Still, I got out strong and settled into race rhythm a bit early knowing high altitude is not where you want to over-bake a swim start. Once in rhythm, I accidentally started pulling to the right a bit, caused by putting my head low to get my hips up. It popped me off the back of my pack and I had to correct before the 1st buoy. I put more power into every stroke after the buoy and found myself on Chris Foster’s feet with someone just beyond him. I felt like we weren’t swimming fast/hard enough so I made multiple attempts to pass, but once out of the draft I didn’t have enough sustained power to get around. After trying to pass a few more times at buoys, I felt like the best strategy was to just keep swimming as efficiently as I could. I sat on with these two swimmers and prepared to destroy the bike leg to get as deep into the race as possible. After two laps, we hit the beach and I noticed it was Ryan Ignatz with Chris and I. I was pretty stoked at this point since Ryan is from Boulder and had out-swam me by a significant margin in past years here. Progress. The three of us came out of T1 simultaneously. Unfortunately for me, I forgot to secure my cycling shoes to my crank and they flopped all around erratically as I tried to mount. With the uphill grass mounting area, I lost momentum and had to dismount and run a bit as Ryan and Chris rolled away. I quickly got going and pushed hard with my feet out of the shoes to catch back up. I got back to Chris and put my shoes on at full speed. Ryan had about a 20 yard gap on us by the time we started to climb. I remembered how last year on the early part of the climb, I felt very good. This year I was sucking wind. My breathing was audible as I pushed hard to get to Ryan. I passed Chris and another athlete, and then Chris Legh. It’s not a technical climb at all. It’s a fitness test. And speaking of fitness, I was impressed with Chris Foster’s preparation. He was climbing very well. He asked if I wanted to pass him and I just told him that if/when I can, I will. I was struggling to get enough air. But about 15-20 minutes into the climb, my breathing relaxed a bit and my legs started to feel better. I passed the two riders in front of me and pulled away steadily. I was excited that my body seemed to start working suddenly. There was hope that I could make some headway! Turns out, I didn’t catch anyone but Brendan Rakita, who unfortunately had suffered a flat. In fact, despite “feeling” better, my power was the same on the first half and last half of the climb. This is just more confirmation that the way I feel and the way I perform are two separate things. Nevertheless, I “felt” good and was racing hard. I came into T2 in 8th place, disappointed but ready to put in a run into the money. Last year, my run performance was propped up by the fact that the run was reversed. There was a lot of running on long, shallow climbs broken up by short, steep descents. For me, this is a recipe for fast running at altitude. I can just get into a rhythm and suffer at a sustainable level, using my efficiency for speed. However, like two years ago, the course was clockwise this time. This meant brutally steep hills and shallow descents. The shallow descents are a minor issue. I’m not as efficient running down hill as I am on flats and moderate climbs. But steep climbs just take lots of power and high VO2 max. Unfortunately, it proved too much for me this year. I ran my body into such oxygen debt that I got light headed and fell. I actually fell off the trail on a straightaway trying to “recover” from the uphill efforts. To add insult to this, for the first time in two years I was reduced to a shuffle at points. And it wasn’t by choice. My body shut down. My mind got cloudy. Alarm bells went off. Now, I’m a decent runner. I also consider myself mentally tough. E.g., I came off the bike in 7th place one month earlier at XTERRA East Championships. There, I ran into 4th place in oppressive heat and humidity, with the fastest run of the day. And despite not being able to stay upright or think straight, I pushed myself to run. And when Chris Legh caught me on a downhill, my instinct was to get on his shoulder. To show him I’m not going anywhere without a fight. But reality hit hard when we started going up a steep jeep road. I popped again and he ran away. It was a long and mentally painful run to the top of the 2nd climb and stumbling back down the mountain to the finish. I’m not sure I’m happy with how I handled my poor performance. This was the first time in a race this season that I was truly unhappy with my performance as it was happening. I physically couldn’t run as fast as I wanted and needed to. Unfortunately, looking back I think it showed in my attitude. And for that I’m not proud. At the finish line someone said “great performance!” and I said something to the effect of “No, it wasn’t”. Which was technically true. However, I should have just said “thanks”. So if that was anyone reading this, I apologize. I’m going through a learning curve. Just like learning to finish well gracefully, I have to learn how to take a lickin’ gracefully as well. So I’m taking away that I need to just put my emotions aside a bit and realize that we don’t always “knock it out of the park”. I ended up getting 9th overall, 9th pro. Results can be found here. No paycheck. Lots of travel bills, and three weeks of time invested, two of which at high altitudes. When looking at my performance vs. 2015, I simply had a bad race. Compared to myself and compared to the competition, I swam about the same (maybe a bit better that the preceding year), but then I rode poorly, and then ran even worse. Ugh! I’ve got a lot of work to do to right that ship. But I don’t think it was my overall fitness at play in Colorado this year. It was a less-than-perfect preparation. I’m going to need to stay in a good rhythm of training going into the next stop of the XTERRA US Tour when we hit the US Championship in Ogden Utah on September 19th if I want better results. I’ve heard it mentioned a few times that this course is a good analog for the Nationals in Ogden, Utah. I don’t completely agree. For one, the run course at Ogden is at 6,000′. That’s high up, but it’s lower than even the swim in Colorado. The run has a few short pitches, but it doesn’t have two massive 2-mile steep climbs. Also, the bike course is significantly different in a few ways. Not only does it start and end at altitudes (4,500′ and ends at 6,000′) both lower than the lowest point on the Beaver Creek course, but it’s comprised of two distinct climbs. The lower climb is gradual, with a technical descent afterwards. The top climb is slightly steeper and tops out at 6,500′ before a long descent to T2. Still lower than the swim in Beaver Creek. So no, they’re not similar courses. People from more moderate altitudes can actually compete with Coloradans there. I don’t get altitude sickness in Ogden which sits at 4,000′, so that’s a start right there. Living at high altitude is an advantage that many people can’t afford. I’m fortunate that Boise sits at a modest altitude while having a low cost of living. This lets me have a good quality of life, while building good fitness on awesome terrain. That’s a difference of 56 Watts average, and 1.2 mph on a VERY similar climb. To put it into perspective, (ignoring that I didn’t know where the segment actually started) I was about a minute off of Nico Lebrun’s KOM and half a minute off of Michael Tobin. Both XTERRA World Champions. But KOM’s and comparisons aside. I’m as fit as I’ve ever been in my life, and climbing well in Boise. And certainly better than I did at higher altitude five days earlier. And I have every reason to believe I’ll go faster in Utah than I ever have. I believe in hard work. I’ve been putting in very hard work on a consistent basis, all year long, and steadily getting better. So Strava has it’s uses. (Downhill it’s kinda dangerous, uphill it’s proving fairly useful!) My recent fitness on this particular test piece was over a minute faster than the preceding month. Over three minutes faster than May, and over five minutes faster than my best effort last year. But I’ve hit a slump in terms of results. It happens. I’ve watched other athletes go through the same thing for various reasons. It could caused by anything from too much air travel, to plain bad luck. And it will pass. “Do what you ought, come what may”. Right now, what has come is a slump and I’m continuing try my best to do what needs to be done, regardless. When you hit a slump, it’s important to be thankful for those who see you through thick and thin and support what you do. I wouldn’t be in such a great position this year (3rd Overall in the XTERRA US Pro Tour) without the guidance of my coach Paulo Sousa. 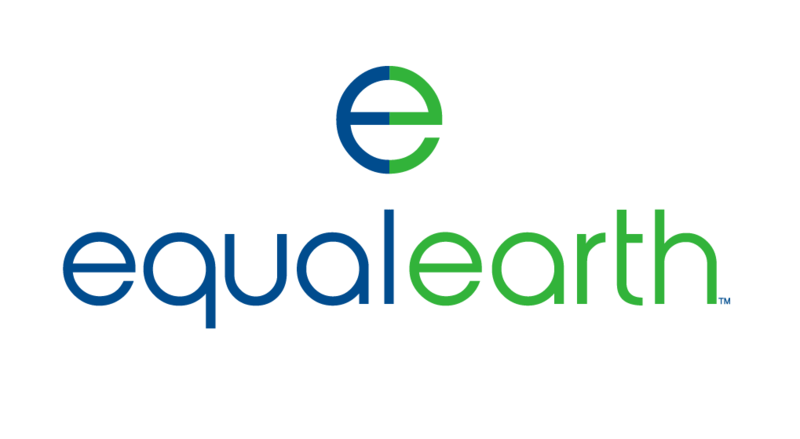 Also, I owe a HUGE thanks to my title sponsor Equal Earth. Thanks to my sponsors and supporters: Champion System, Blue Seventy, First Endurance, G-Fit Studio Boise and TriTown Boise for putting me in the best equipment to do my job! Up next is XTERRA Portland on August 8th. If you’re in the Pacific Northwest, please come out and race! In addition to an awesome XTERRA, there’s also a MTB race and trail running races!